The Iyashi Wand is one of the original, authentic zero point energy wands and the first full spectrum all-purpose holistic wellness tool. Take control of your life and well-being in your own hands. The Iyashi Wand can work for everything by realigning your body’s energetic systems allowing it to harmonize your entire body's bio-field. Why is Iyashi the Best Zero Point Energy Wand? The Iyashi Wand is the original full spectrum scalar and zero point energy wand. Encased in the Iyashi Wand's stainless steel exterior is our BFIT Full Spectrum Infusion technology, mineral blend, and Iyashi Ceramic technology and other proprietary technologies. The Iyashi Wand is a scientific scalar tool that has been calibrated to hold thousands of specific beneficial energy patterns, and is the only wand to incorporate Biometric Frequency Infusion Technology (BFIT). The Iyashi Wand is both an all-purpose and a high-precision wellness tool, making it the choice of doctors and alternative practitioners around the world. The Original Iyashi Wand has more harmonizing qualities that the body's bio-field responds to than any other energetic wellness tool out there. Providing over 18000+ energetic frequencies, the Iyashi Wand can help expedite your path to wellness. The Iyashi Wand emits energetic frequencies attuned to speed the harmonization of your energetic systems immediately. We hear amazing stories every day about our Iyashi Wand and how it's making a difference in peoples' lives, providing them with much-needed energy and vitality. We have "Broken the Wand Code", and devised a unique formula and process through which we manufacture our wands, bio-ceramic energy technologies, and infuse our unique scalar and zero point tools with our BFIT (Biometric Frequency Infusion Technology) The BFIT frequencies attune to your personal circumstances and assist the body to return to homeostasis. What is a Full Spectrum Wand? Full Spectrum technology gives the highest possible potential for harmonizing your energetic systems and is the cornerstone of our mandate to provide the highest possible outcome for everyone. Our full spectrum capability includes but is not exclusive to our unique Biometric Frequency Infusion Technology®. It infuses an extraordinary number of energy patterns, plus our own proprietary energy frequency formulas (over 18000 of them) that we have found are necessary for helping relieve the majority of conditions people may have. These energy patterns and bundles of frequency formulas also support your energy systems of chakras and meridians. Your energetic wellness will reflect your overall well-being. Certain energy patterns will help you with particular issues. These are bundled together into formulas. The energy patterns that help with one issue may not work on another. A different formula is most always required. Most zero point energy wands only contain one of or a very limited number of these important energy patterns. Some even claiming to be zero point energy wands are not even zero point at all. They are inert. The Iyashi Wand is a scientific subtle energy tool that has been calibrated to hold thousands of specific beneficial energy patterns, in the form of frequency formula bundles and is the only wand to incorporate Biometric Frequency Infusion Technology (BFIT). This technology optimally synchronizes the Iyashi Wand with all beneficial energy patterns, with the body’s biofields innate blueprint, rather than just a few or no frequencies. Not only is this as beneficial as possible to the harmonization process and user of the wand, but it ensures all energetic frequencies targeted in the bio-field are symmetrically enhanced to a normalized state. All Iyashi products are put through a rigorous set of tests in order to ensure the technology is as refined as possible. The Iyashi Wand has been VibraScan 1100 and kinesiologically tested in order to determine the responsiveness between the energetic properties of the wand, and the human bio-field. 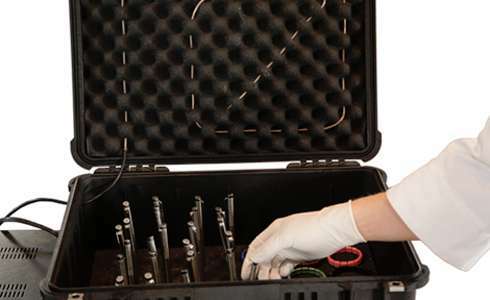 A plethora of additional test methods have also been safely conducted on plants, consumables, and inanimate objects to document the attributes of the wand. Each Original Iyashi wand contains proprietary ingredients, in addition to other standard components. These ingredients enhance the Full Spectrum infusion, and have positive harmonizing, wellness-maintaining, and harmonizing qualities that realigning your body’s energetic systems allowing it to activate and enhance the natural harmonization process of your bio-field. BFIT, a Full Spectrum infusion technology, is the key behind the many years of success of the Iyashi Wand. The Iyashi Wand contains a proprietary blend of semi-precious minerals, bioceramics, and crystals - mixed to a specific ratio - to allow for the highest tier of energy response possible alongside our Full Spectrum infusion. We are proud to say that the Iyashi Wand is the best-selling wand in the modern world, and that we've been able to help improve thousands of peoples' lives and well being with our wand and other Iyashi energy products. Full Spectrum technology (BFIT) can only be found in the Iyashi wand. Without Full Spectrum technology, a wand can only be infused to target a highly specific range of frequencies. Biometric Full Spectrum Infusion was the inspiration that came from the realization of this limitation. The Iyashi Wand, since it is on a Full Spectrum range, is not limited to any one use. This is why the Iyashi Wand is considered by professionals as both a multi-purpose holistic wellness tool as well as a highly fine-tuned harmonization tool. The second benefit to Full Spectrum technology is the energetic potency it provides; the BFIT process by which we infuse the Iyashi Wand results in a stronger set of energetic properties. Our proprietary Biometric Frequency Infusion Technology permanently infuses the Original Iyashi wand with beneficial vibrational frequencies which retrain the body's bio-field to clean and rejuvinate itself. Imagine you were fixing the fence in your yard and you hit your thumb with the hammer. Aside from the screaming pain, your thumb would swell and your thumbnail would be damaged. Your thumb immediately goes into shock, creating pain, and toxins start building from the inflammation in damaged tissues. The vibration of your thumb starts to drop, making efficient repair difficult as it moves out of phase-lock, its innate unity with the rest of the hand. The Original Iyashi wand holds significant beneficial energy patterns that provide effective harmonizing benefits. In other words, the affected body parts bio-field resonates with the frequencies in the wand, restoring the bio-field to its innate self. I know it sounds far-fetched but the perfect analogy is two tuning forks. If you strike one and bring another one close to it, it will resonate and begin to ring just like the first fork. We have tested over three hundred separate zero point energy wands on the market, including different brands such as the "Amega Wand", "Auric Energy Wand", "Nano Wand", "Original Japanese Energy Wand", and many others. Many of these wands are claiming to be full spectrum wands, but our tests still show they are not. Wellness is our passion, and energy harmonization is our field of expertise; we pride ourselves in bringing you the most effective and most extensively researched energy harmonization technology on the market. Watch the VibraScan1100 video below to see how other wands compare to the Iyashi Wand. The VibraScan 1100 is a device which measures the energy strength of alternative wellness products which deal with energy patterns. 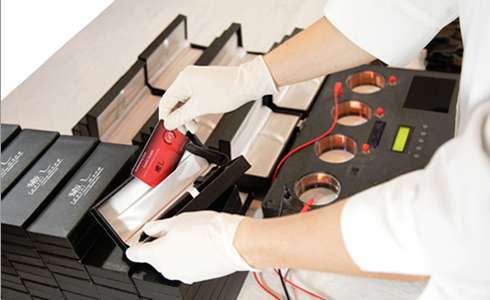 The VibraScan 1100 can determine the strength of a number of parameters in wellness products. 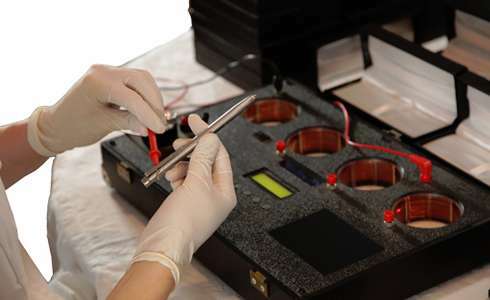 Energetic output strength is a key component of any wellness tool, and without a high energetic output, there will be little effect on the issue for which the zero point energy wand is being used. The Iyashi Wand has the highest energetic output of any wand on the market to date, making it the most ideal wand in terms of overall effectiveness. Alongside our Full Spectrum technology, the Iyashi research and development team has devised proprietary technology that will support and enhance the body’s bio-fields innate harmonization ability and encourage the return of vibrant well being. The Iyashi Wand is truly a versatile zero point and scalar energy tool. It literally can be used to help with any harmonization process and aid any part of the human bio-field. The key term to remember is phase lock. Everything is connected to the zero point framework on which everything is built. By being connected or phase-locked, the bio-field and its energy field has an innate efficiency and function that maintains a feeling of well-being. The Iyashi Wand brings everything within its range of influence back into its correct phase-locked state with the zero point field; this energy state is exactly where you want your body to function overall. Every piece of matter in existence has energy and energetic properties, and as a result, everything in existence is energetically connected in one way or another. Bringing your energy levels to their phase-lock state not only improves your body's bio-field, but it positively impacts the way you and objects & people around you interact on an energetic level. The Iyashi Wand is an instrument of focus and direction for the innate energies that benefit the body. The thousands of beneficial energy patterns in the form of bundles of frequency formulas that have been infused in each wand by our proprietary BFIT process have been tested and verified to be within acceptable ranges to promote holistic wellness by our research and development team. Our expert team has perfected our formulas for their function and application. The Iyashi Wand functions through moving the wand over an area of the bio-field that is affected. You can twirl or rotate the wand over reflex points on the feet. The manner in which the wand is moved dictates certain results (read how to wand by clicking here). We have supplied a chart in the chart section so you can actually wand all sorts of your organs bio-fields by using it. To create the energy transference device that creates the vortex, the wand must move or rotate. The process of harmonization requires movement from the wand. The Iyashi Wand is a tool which anyone can use, regardless of your level of expertise. The most simple and common wanding technique involves waving or circling the wand around any area which your energy field in need of repair, with distance varying anywhere between touching the skin to being an inch to two inches from the body. Further basic techniques include poking the wand repeatedly on or around a desired target-point, or simply wearing the wand close-by. 1. Where does it hurt? 3. How long has it hurt? Longer term and deeper issues generally takes longer to wand away, but sometimes results can be had quickly. Chronic issues tend to respond positively, but needs repeated wanding over days or weeks for best results. Circling. 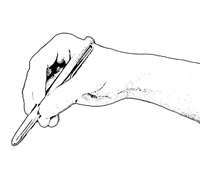 Rotate your wanding hand in a clockwise direction. Hold wand tip about one inch from the skin. Three – four rotations per second is a good frequency for most people. For older people with weaker energy, you may want to begin slower starting at 1-2 rotations per second. Older people may respond slower as their bodies are usually of a higher toxicity level. Dipping. This is an “in-out” motion of approximately 3 inches with the wand tip coming close to the skin surface. It creates an energy wave penetrating deep into the body's bio-field. Dipping works well for deep issues and has a rejuvenating effects . Circle dip. A combination of circling and dipping usually with 3-4 circles, followed by 1-2 dips. Crosshatching. 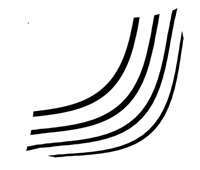 This is a simple back and forth motion with alternating directions. Up and down for ten seconds followed by back and forth for ten seconds and so on. This action tends to loosen up and allow for drainage of toxins. Always follow with circling to finish. Directional dipping. 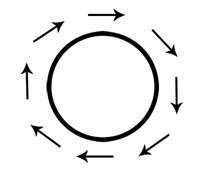 This is a swooping motion in the direction of energy flow. Tip-tappingGently tapping the area with the wand tip in a rapid manner will help people who are energy-deprived and toxic due to working in office buildings, using cell phones, or being exposed to unhealthy environments. Wanding a glass of water in a circular motion and drinking the water will aid in the cleansing process, as internal water molecules listen more effectively to the wand energy. When wanding a glass of water, contact between the wand and the water is not necessary and no more effective than circularly wanding above and around the water. Sidebrushing. Using the side of the wand to gently brush the skin back and forth. The Iyashi Wand is infused in Canada, and each wand is inspected to meet the high Iyashi standards before being packaged and shipped. The Iyashi Wand meets our company's Triple-A standard for wand excellence: the materials within the wand hold energetic properties permanently. Unlike other wands, the Iyashi Wand is also infused with a Full Spectrum frequency package, using Biometric Frequency Infusion Technology. The leading competitor’s wands tend to incorporate materials which emit some frequencies at particular ends of the energetic frequency spectrum, which is a now old and limited approach to wand manufacturing and performance. Quality and value are wrapped up in one ultimate package. The Iyashi Full Spectrum technology which is infused into the Iyashi Wand cuts out the possibility of producing imbalances of energy patterns which could happen by using a wand which is specific to only one or two frequencies. It has been shown that incoherencies in the energy field happen in either the high or low end of the energy spectrum due to emotional trauma. By only addressing limited frequencies, harmonization is virtually impossible. The Iyashi Wand contains a proprietary blend of semi-precious minerals, bio-ceramics, and crystals - mixed to a specific ratio - to allow for the highest tier of energy response possible alongside our Full Spectrum BFIT infusion. Cutting Open A Amega Wand we cut open a Amega wand to see whats inside. As with all Iyashi products, the Iyashi Wand comes with a fully comprehensive product guarantee. Every wand comes with a lifetime guarantee: if you ever find an energetic problem with your wand, just send your wand in to us and you will have the option of a brand new wand replacement, or re-infusion, free of charge. We also provide a 30-day money back guarantee policy; if you are not happy with your wand, just send it back and we will refund the cost of your wand in full. 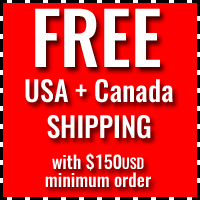 We guarantee all wands are shipped free of defects, and we offer a 1-week no questions asked replacement period if you find that your wand has been scuffed, dented, or damaged. I am 73 this year and have a BS, BA, RN, my Dad was an MD. I grew up and have been in the medical field as an alternative RN for 39 years, retired my RN license in 2012. I have worked for the past 5 years under my nutritional and acupressure certifications. I have been taking care of 6 residents in a resident home, part time, for the past 3 months. I am taking care of 2 horses and 3 near by clients. I am treating my friends/clients with Iyashi Full Spectrum amazing Wand that supports open up the chakras. I use these devises on their acupressure points and as well as share with them the products I use, that keeps me going. We are all doing well. One is friend 83 years old and getting better, his right hand after the first session with one of the Iyashi wands was more comfortable than it had been in 30 years. The second session with both wands has kept both his hands and thumbs doing 30% better between sessions.I only have been giving him a session once a week for the last 2 weeks. Another friend is 65, on a liquid chemical program. In spite of that his hands are comfortable for the first time in a couple of years and he is tolerating his chemical program very well. He gets sessions 3 times a week and has had the sessions with the Iyashi wand the last 2 weeks, when these significant changes have happened.. The other friend is 80, and doing very well. Her ear itching and aching has improved 90% in the last 2 weeks with 3 sessions a week. 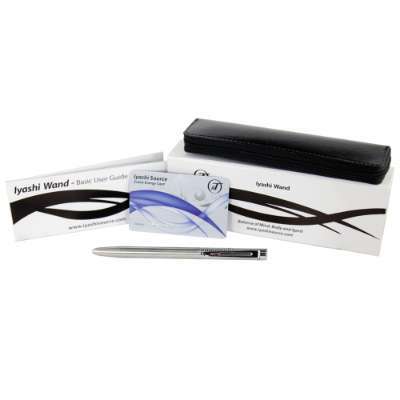 We are all experiencing much faster and more effective results since using the Iyashi Wands. I have them pinned to my shirt all day long and sleep with them pointed to my head. I can feel an overall balancing I have not had before form above my head all the way down to my feet. My dreams are much clearer and easy to remember now. I sprained my back at the residential home this Sunday and then came home and took care of the horses and moved/stacked 8 bales of hay, oops, 2 days ago. I have just now taken the time to wand the sprained area, and it is comfortable. It was a ten on the discomfort level before I did the wanding. I will be wanding things in the future much sooner. I am so glad Paige told me about the Iyashi wands and Pamela thank you millions for all you have done and are doing. I am getting the info out on these wands as fast as possible. They sure can make a significant difference for the better. Especially since they are so amazingly affordable! I have bought several health tools from IyashiSource.com or allied websites. Each item bought has built trust in their products to take the leap to buy another. Second, I bought the full Itsu Sync set with pro headphones. I never spent more than $20 before on headphones in my life! Nevertheless, I had a nagging feeling I needed the full Itsu Sync program. Itsu Sync offered what I needed as a 63 year old studying for an accounting degree at an online university while taking care of my Mom at home. She has dementia. I wondered, am I going the same route as her? Itsu Sync is actually less expensive than its many competitors. 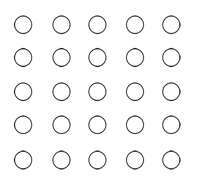 Well, after about a week I notice clearer thinking, etter memory, and sounder sleep. Somehow I believe it also healed lingering effects from a severe concussion received in a car accident 12 years ago. I haven't missed a 15 minute session since I started it 3 weeks ago. I love the music! I think I am addicted to it - but not really, I just want to keep it up. Hi Pamela it's Suzanne just wanted you to know I received my wand...so happy and my cat and 3 dogs got wanded...lol My one chihuahua has what is called "Cherry Eye" so I wanded it and will do it again. The thing is it went down already from what it was. Gonna love my wand and use it to help others...Thank you be Blessed! I've been very satisfied using an Iyashi wand for the past two years. Hi there! I just got my wand yesterday and have loved the initial results on pain that I've had in my knee. Simply wish to thank you for your clear and generous information. The wand is a tremendous gift to our world. I received my order promptly in New Zealand, thank you for wands for myself and family. thank so much I just received my Iyashi wand. I am very happy. I would shop other items in the next days. Hello my name is Suzanne and just ordered the Wand. A friend of mine was telling me she was never able to wear jewelry because it broke her out since she was a little girl. Then she had heard about this lady in another town who called what she does ""Waving"". My friend went to her and she held a wand in one hand and in the other there was a bowl of water with a nickel in it. She sat for 1 hour and she said she has been wearing her jewelry for over a couple of years now. My husband and I have tried many things, to improve our health, and my husband found your site. We both thought the man speaking on the video seemed genuine, and that your products were at least worth a try, particularly as they come with a money back guarantee. So my husband ordered a scalar pendant for himself, which he has been wearing since, and an Iyashi wand (we prefer to call it a pen), which he keeps in his shirt pocket a lot of the time (when he wears a shirt with a pocket). Well, here is the interesting thing! My husband must've read something about it because he started waving the pen around his plate of food, in clockwise circles for a while (30 seconds to a minute? I'm not so sure in judging the times), and commented that it made it taste better. I thought give it to me! I want to try it!! You have to understand that my husband and I are on the opposite ends of the spectrum when it comes to tasting food. For example, my husband has not known if it's beef or lamb, etc. He just says something is 'good' or 'not good' in taste. He has NOT been one to notice tastes. For example, if I said, "Does it need salt?" He'd say, "I don't know". He just really has been the Opposite of a foodie. I, however, have been the other way, adding just the right amount of salt to my plate, or flavouring when I am cooking, etc, etc. My brother was a chef and told me about a 'super taster' test you can do. Well, it turns out, I am a 'super taster' - which means I can taste more flavours, etc, in foods that the general population can. I am very sensitive to tastes, whereas my husband has not been. So I started waving the pen around my breakfast plate, in the same way. We have pretty much the same exact breakfast nearly every morning -scrambled eggs and salad and toast / potatoes. I was very surprised that it did taste better after waving this pen around it! It tasted more tasty, with a more 'deeper' flavour - even the cut up cos lettuce tasted better (which I don't particularly love the taste of, but I eat for the health benefits). Now I have no idea how this happens, and I really would not imagine this, I would just be able to taste it if it tasted exactly the same as usual. The interesting this to me is that both of us noticed a change in the taste of our food. I continued to do it just because I wanted and appreciated my breakfast tasting better! In fact, with the busy-ness of life with my young children, I somehow forgot to and didn't keep it up, and it's just in writing to tell you about this that I am now reminded that I want to do it again! Just so my breakkie tastes better! Also, I do seem to notice my husband has been improved since receiving and wearing his pendant and pen. It's been about 3-4 months now I think. He has been able to go out more each week, or at night, and just has seemed to be able to cope in life better. So, I have asked him to order me a pendant, too, so I can try it out. I want to notice some benefits in my life, too. So we are going to order another scalar pendant, and some shieldite blocks to put near each of our two computers. We spend a bit of time at the computer so I want to protect ourselves and our children from EMFs. God bless you and also guide you. Thank you. Mine (my package) finally came on Saturday.I love the wand. I had another one a knock off and there is NO comparison to the feel and look to the wand!! Thanks so much. I have purchased an Iyashi Wand about ten years ago and surprisingly it still performs like it was new. I always use it to relieve pain where ever located with great results. As a retired mechanic at 73 years young I need all the help I can get. I can put it on my night stand aimed at me in bed and get a good nights sleep. I always carry it with me and use it to help folks who are in pain at the opportune moment and to their amazement they get relief. The fellow in the eye doctors office could'nt sit still with low back pain. He got up and went into the lobby where I said ""Let me try this wand that I just got and see if it will help"" He said "ANYTHING" So I wanded his lower back and in about a minute his pain was gone! He then asked for the information to aquire this wonderous devise. When I help someone with relieving their pain they always say ""How'd you do that?"" Folks, Please go the the website and help yourself to GOOD! Have been using it on myself and mum with outstanding results. Using it on my niece who has been suffering from MS for 24 years since first diagnosed at the age of 22. Using the wand on her was amazing. Working on her from the back of her head down to the lower back regain and watching her body twist and move and the response was amazing. Tremors with her hands she suffered daily has eased for now. Working on the legs was amazing, starting on the left on the outside of her knee, then the right and seeing hers leg reach out from the wheelchair and stretching in a horizontal direction and the feeling as she explained was like a burning sensation was coming from her hips all the way down to her feet. Toe movements which she couldn’t do for years are now working and always feeling cold from the knee to the feet (No More). Working on another friend of mine who is also in a wheel chair with limited leg movement and constant pain (No More) amazing! We recently purchased an Iyashi wand and are very pleased with it. I am a therapist, and bought an iyashi wand to use on myself, reason being I experienced chronic fatigue and needed a help. When the wand arrived I used it on myself and my energy levels improved, a relative suffered from insomnia for years and nothing helped! I used it on her for half an hour and afterwards she slept soundly for first time in years, I used it on a few clients - that had chronic pain, bodily aches and they found it helped. The clients and relatives I used it on also wanted to have their own wands so within one week I ordered 15 more! I used the wand to do a facial on myself and received comments that my skin has a healthy glow and look rejuvenated. Just another plus, most of all within one week my energy levels improved and I don't feel drained all the time. I purchased the wand and love it! I can feel the energy when I use it, incredible. Thank you for my lovely Iyashi wand which arrived in record time, faster than the UK domestic snail mail! I have been using it daily since receiving it and am delighted so far with the therapeutic effects, and am optimistic that in time I will see benefits to chronic conditions such as my eyesight, which has deteriorated due to other health issues. I find that it is helping me as I have only just received it as well!! So far I like it. I can feel the energy. I have very bad lumbar/hip pain, which is my main reason for getting it. I've only had it a few days. Progress is slower, but I think it is helping. I originally bought a wand from you guys about two years ago and have been very happy with it. I heard through a friend, that these were excellent Energetic Products. Zero-Point Energy..was most fascinating to me. So I decided to buy all of the above. I began to feel to blissful. Centered..being more present with ease. Great Clarity. There was a powerful opening, piercing sensation in front of my Heart Chakra. It was so powerful that I knew the pendant and wand+ chakra stone cleared much in that area. I felf so peaceful..enlightened. Zero-Point Energy can rapidly energize the human electromagnetic field and body (as well as all other organic matter) to promote health. The ample supply of vital energy made available to the organism in this manner induces a state of homeostasis, or balance. This is what triggers the natural self-healing mechanism of each individual to produce the changes necessary for cellular and/or energetic repair and improvement. My friends were asking questions about my having peaceful strong high vibrations. Now they all use these products in our weekly meditation class. With the pendants I am experiencing and clearing Parallel Lifetimes in my dreamstate and throughout the day. The wand is excellent for a powerful lazer like zero-point and far infrared energy+ Infused frequencies. My 3 Chakra stones are amazing. My cat so enjoys sleeping on them, and on her back. She is cherished loved by all who see her. She has evolved being with these products everyday. The chakra stones are extra good when they are heated up, to clear my meridians..and chakras. They release powerful negative Ions. Zero-Point energy is pure energy, un-polarized, who we are naturally before being born. The pendants and wand, and chakra stones continously keep on clearing, clearing, letting go. Powerul shifting comes with this clearing. Love it. Finally the elbow and knee wrap are so special to me. Having several injuries. One day i'm wearing them, and about 40 minutes later, I feel lots of good beneficial heat in my elbow and knee. Wow..that went on for awhile. The wraps have magnets and tourmaline..and beneficial energies..to heal, balance. They greatly healed my injuries, with less pain. Powerful and Effective. With the Pendant I'm in Soulful Smiling Mode more than ever. Deeply. Creating unexpected random acts of goodness. Clearing up energies of Karmic Patterns, Vows, Contracts, Agreements. As well with the chakra stone and the Wand. I definitely have alot more Intuition Now. It's helping me connect to my higher self, alot better. My I Am Presence. It brings so much energy to drinks and food. These wonderful products clear process release much negative energy patterns. I know a have a much higher consciousness with the assistance of the great products. As discussed here my review of the amazing Iyashi Wand. Before I received the Wand I watched some videos and read the Iyashi book that you kindly sent me , so I was a bit informed beforehand. One thing that was frequently mentioned was that people could sleep very well with the Wand next to them at night. Naturally after I received the Wand and used it briefly I wanted to try this out and test for myself if my sleep would improve... haha it diddn't but something far more amazing happened in the first night. I first want to state that I diddn't had any expectations just plain curiosity, also I am eating mostly organic and I am quite sensitive to energies as I am familiar with energy healing etc ( as a patient not a healer ). I woke up in the middle of the night ( my head was pointed towards the Wand ) with closed eyes I could see a very orange/yellow energy and strongly felt it penetrating my head. At this point I diddn't think of the wand as I had rare experiences like this before ( after what you could call energy sessions ) but the colour was different. After a while of feeling this strong energy I turned around ( with my back facing the wand ) and this is when I realized that this energy power came from the wand as I could feel such a strong energy wall building up behind me ( the full length of my body 6"1) , it was just unbelievable. The intensity of the energy was so strong that i literally felt as my body would be pushed away. I can't remember for how long this went on and how long it took to get back to sleep but I'll never forget the intensity.... this super strong energy wall. Anyway I can only suggest to anyone to use it but not to forget that we always need a holistic approach , so you're food has to be right and also we always have to work on our thoughts. We have had our wand and pendants for 8 days and are amazed and a little in awe. 1.. Our dog has suffered from GERD (reflux) for about 18 months. We have treated with a number of things and had some improvement, but no cure. After using the Iyashi wand on his food and opening his chakras for about 3 days, I noticed that he no longer had reflux. He was also calmer and more relaxed. Maybe this is because he no longer has reflux, or it is the positive benefits of the Wand or it is both. He has always been a dog with so much emotional energy that more than one vet suggested tranquilizers. We love that our dog can experience a calmer and more peaceful existence. Thank you. 2. Now ME: I have suffered from disabling night sweats and loss of sleep for about 18 months. About 18 months ago, my physician insisted that I try to wean from my 19 years use of HRT. I did try, but had disabling night sweats every hour or 90 minutes. Even when I went back on my prior dose of HRT, I experienced 2 – 3 sweats during the night with accompanying loss of sleep. I tried natural remedies and nothing controlled the symptoms. 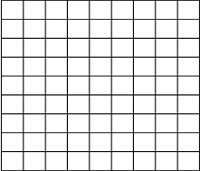 I was exposed to Zero Wand Energy by my acupuncturist and that very night had no sweats and slept all night. This brief exposure created a change that lasted for 4 nights. Once our Iyashi Wand and pendant were available for our use, I again slept without waking and without disabling night sweats. Unbelievable!!! I will again wean from the potentially harmful HRT now that I know I can control symptoms with the Iyashi wand and pendant. Also, I had a swollen painful arthritic finger. Notice that I used the past tense. The finger was so bad that others suggested I had injured it or had a bad bug bite. I don’t think so. After treatment, my finger is not swollen and does not hurt. My knuckle continues slightly enlarged, – but I have only had 8 days to treat. Other would not even know it was arthritic by looking at it. Finally, I treated some bruises caused by bumping my hands and they disappeared within 24 hours of treatment. AMAZING. While I have had some decrease in my compulsive eating, I would love to know more about how people are able to use the wand and pendant to decrease appetite and compulsive eating and experience weight loss. 3: My husband: He has suffered from a sore foot for weeks. He could hardly stand it. I had been treating with energy stacking Jin Shin Jyutsu with some relief. After treating his foot with the Iyashi wand for 3 days, the pain is gone!! Also gone is his chronic pain in his knee and shin. Amazing!! He wears his pendant and has noticed increase in energy. A friend ordered the Amega wand and she loaned us the wand to compare. The Iyashi wand worked better for my husband that did the Amega wand. We are very pleased with our Iyashi wand and pendant. We would be happy to discuss our experience with others and you may post as much of this testimonial as you wish. After testing your wand with others I am most impressed with the Iyashi Wand and would recommend them to my patients and probably the other products you’re now carrying (they look great!). Could you send the two publications What Are Zero-Point Energy Wands? and Zero-Point Energy Wand –Illustrated Wanding Guide and Workbook which you mentioned in this last e-mail. I ordered the wand on Friday and recieved it today (monday) so I started to play with it right away, my thumb and knee were in a little pain and truth be told in just a few min I no longer have any pain. So anyone reading this and if your not sure if it works that's okay you don't have to believe in it because it works anyway, this is not a mind over matter and it’s not magic it’s just the best darn thing you can offer your self or family. Thank you so much for a wonderful product this will be used in my office. • My wife and I use the wand on ourselves for health maintenance and anti-aging, stress management, body detoxification, improving immunity and increasing vitality–currently, there being no chronic ailment in the family. -chronic skin condition (eight months) comprising rash across the body and puslike infestation on the souls of the feet (with the medical community diagnosing it variously: one type of fungus, two types of eczema, allergies, dependent upon the specialist) to control itching and for stress management, restoring normalcy; chronic fatigue syndrome and foot disorder associated with multiple foot operations (recently) for pain and stress management. During this period, we encouraged the clients to use the Iyashi Wand and report their observations. We found the wand to be effective and a useful tool in medical condition management. Additionally, as a Reiki Master, and being innovative by nature, I have also devised a method of using the Iyashi Wand effectively in long distance treatments and the receiving clients described the treatment sessions as “intense”. 1:My 84 year old mother in law was complaining of severe hip and knee pain recently. Usually, because I am a massage therapist, I would perform manual tissue manipulation to alleviate the issue, causing considerable discomfort in the process. Instead, I loaned her a wand and instructed her as to its use, including the proper reflexology points to address. I checked 6 hours later and she was astonished that she was pain-free! She wouldn't let me have the wand back, and two of her friends called and wanted one the next day. 2:I was working with a client today who has had TMJ for over 20 years. I slid the wand into the finger of a rubber glove and placed it in the inside of her mouth at the TM joint area, and within minutes her jaw began to release. She was thrilled! So was I! She will soon own have her own wand. I have had TREMENDOUS personal positive benefits with the wand in assisting the healing of a recent injury as a result of falling off of a ladder. I am a massage therapist, and use the wand daily in my treatment work! My clients love it. Thanks! Before I got my wand & started using it on my thymus gland I had to ware gloves to protect my hands from defer int chemicals in plastic like when ever I would blow the yard with blower, ONE WEEK after using the wand without thinking about it I USED THE BLOWER WITHOUT GLOVES & my hands did not swell up like they always do, prays God! I have had my iyahi wand for over five months and had to finally leave a testimonial. I remember back reading what other users wrote and could not help think this wand was a little too good to be true. I soon found out it does what it claims. When I first got it I could defiantly feel the energy especially waving it over my head. So eventually I had pain in my left arm and trouble extending it, and then right when I used the wand on it went away. Sometimes the pain comes back and EVERY single time my wand makes it vanish! One day I used it on a friend’s mom who had a bad rash on her arm. Right when I used it she felt the warmth and the pain went away. If you’re debating on getting the wand just take a chance because it really does work wonders with your energy! Last month I attended a youth bible class. I was standing in the back with one of the adult leaders, Deanne…I noticed she had a cut on her finger that was significantly bothering her. She shared she had accidentally cut it with a razor. The cut was purple and looked slightly infected. I asked her what her pain level was from 1-10, ten being call 911. She immediately replied a 7. I reached for my bag to get my Iyashi wand, I always start by wanding the chakras 3 times…then I proceeded to wand her finger within seconds we both saw the injury turn from blue to pink!! She was amazed in another few seconds the pain had diminished and she was no longer bothered by the throbbing injured finger!! Two weeks ago I was working at guest services at my church. I was talking to the secretary and she had mentioned one of the men who was scheduled to go into El Salvador on a mission trip Dan, had torn his meniscus in his right knee. He wasn’t sure he could attend the trip. I called him right then and shared with him about the Iyashi wand. I told him I would go to his home and wand him, he was actually on his way to church. When he arrived I met with him and his wife in our prayer room. They were both very skeptical and had this look on their faces like how could this wand help this injury??? Dan was experiencing a 7 pain level with the injury. I proceeded to wand the chakras 3 times, then wand his knee for about two minutes. I asked him to open his eyes and give me feedback. he couldn’t say anything, his wife asked him if he noticed a difference…he was astonished at the knee pain, gone. He tried to bend the knee and was surprised there was no pain while bending. After service I noticed he was a little stiff so I gave him the wand to wand himself while I retrieved my car. Upon returning he was again amazed at the difference in his knee after another wanding. My mom got an Iyashi wand about 3 days before I had to have my appendix out in an emergency operation. Mom told me to wand my stitches and scar as often as I could. I only did it 3 times the first day because I was sleeping and watching TV. The second day, I felt much better. I was more awake and my side didn’t hurt as much. I did it 4 times the second day and every day after that. When I went to the doctor he was amazed at how good the scar looked and I didn’t have very much pain. It was like a little pinch when I bent over or leaned sideways. He wanted to hear about the wand because I told him I used it. Hello, My wand arrived in the mail on 9/17 and I have been experimenting with the techniques in Perrins’ workbook. Fascinating results thus far! I just got my want last week. I can really feel the energies. I love my wand. I’ve been an alternative health practitioner for 35 years and have used many tools in my practice so the wand is a very nice addition. I’ve got my Iyashi wand and it feels great:) I’ve slept with it under the pillow for the past 2 nights and I woke up feeling healed from multiple bodily aches and pains from overworking myself into exhaustion! When my wand arrived at the local Post Office, I immediately took it to a friend’s place to try it out on her, because she was suffering from pain in her throat. This morning it had gone down to about a 2 (on a scale of 0-10), but her voice was still quite hoarse. So we started working on the throat for a few minutes, paused, and then on and off for approx. 10 min. After that time the throat was down to a 0, and the hoarseness was completely gone and her voice was clear. And something else had also quite unexpectedly occurred: her face – (normally quite patchy which she hides under make-up, but was not wearing then because it was so early in the morning) – had cleared up and looked wonderful. She told me later that the pain in the throat had come back a little the next day and she does wear make-up – but the voice remained clear. I have arthritis quite severely in my hands. It is very painful for me to pick up anything or hold anything. The things I missed the most were my knitting and a nice hot cup of tea. My granddaughter came to visit me to take me out to lunch for my birthday. I was so embarrassed because I really had to struggle to put the flowers she brought me into a vase. I was trying to figure out what to order for lunch so I didn’t embarrass myself further. When your hands hurt, you get really clumsy. My granddaughter saw me struggling with the flowers and offered to use a wand on me. I decided to humor her because she was trying to be helpful. It was the Iyashi wand. I couldn’t help but giggle. How could twirling some metal thing around my hands possibly do anything? I was soon laughing on the other side of my face. To my amazement, I could close my fingers without pain. I was even able to pick up the vase of flowers and carry it. The best birthday present was being gifted with the wand by my granddaughter. I use it every day and now I can knit again. You have no idea how much being able to use my hands again means to me. I received the wand today. I have an Amega wand and I felt more energy from yours. Thank you so much for this wonderful information. The book is full of great information, both new and reaffirming and such an easy read. I have been using the wand now for about 2 weeks. While on holidays last week I strained my back and used the wand several times prior to getting back home. Each day was a grateful improvement. Once back I went to my chiropractor who has assisted me previously with back pain and for the severity of the strain, it took 75% less treatments to get my back to feeling good again. I also have been using the wand generally on acupressure points and noticing improvements in my digestion. It just feels good to use it. I have also been using the wand on my husband who has chronic discomfort in his ankle due to repetitive sports injuries and he has noticed a reduction in the swelling. I also appreciate the most recent offer posted (which I have ordered) on the upcoming release of the book. I burned my hand on the oven rack in my oven. I have to be careful because I am diabetic and sores don’t heal very well. My brother and his wife were coming for dinner. He saw my hand and brought in an Original Iyashi wand and twirled it on my hand. I was surprised how fast the pain went. He told me to keep using the wand. It’s reall good. It didn’t get infected and it healed up really good. I can hardly see where I burned myself. You guys are the “real deal”. I have tried other wands and they didn’t work. I found out about wanding when I went to a meeting for another company. It really did help my back pain when I got wanded in the meeting. I had serious car accident over 4 years ago and have had constant back pain ever since. I bought this expensive wand but when I got it in the mail it didn’t work. My friends tried it out but no results either. I really wanted to try again so I ordered the Iyashi wand. (My wife thought I was crazy throwing good money after bad) As soon as I got it in the mail I noticed a difference when I picked it up. This Iyashi wand definitely has some juice in it. I have been wanding the acupressure points as I was instructed to. The results have not been miraculous but I have a lot more “better” days the before. My wife tells me that she has noticed a difference. I play more with the grandchildren and am not as cranky. I hurt my shoulder while I was pruning my apple tree. I fell off the ladder and I sprained my shoulder when I tried to catch myself. The doctor said it would take time, but two months passed and it didn’t seem to be getting any better. My sister came to visit me and brought her Iyashi wand with her. I had been whining to her on the phone how sore my shoulder was. She wanded my shoulder and I was amazed how the pain dropped and my range of motion improved. She kept wanding it for the three days she was here and by the time she went home I was feeling much better. I ordered my own wand and I was so glad to hear that I didn’t have to be involved with an MLM company. My shoulder is almost all better now and I look forward to a good golf game. I get pounding headaches a lot from my job. I sit in front of a computer all day and I have a very stressful job. It pays well but sometimes I wondered if the headaches made everything worth it until now. My aunt sent me an original Iyashi wand and I started using it right away. Within a few minutes my headache was much less and within a few more minutes, it was completely gone. I use the wand regularly now and I am basically headache free. Now I can enjoy my life again and I don’t have to go to bed as soon as I get home from word. 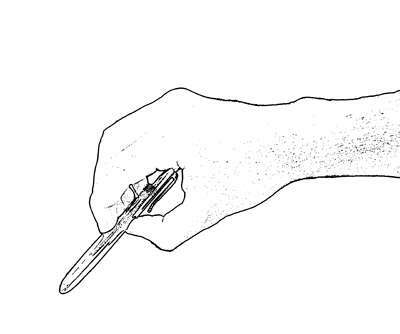 A 60 yr old man was amazed when a ganglion tumor on his wrist disappeared instantly after I wanded it for a minute or so, he kept on shaking his wrist thinking something was not right. What are zero-point energy wands? Zero-point energy wands are instruments that look like a pen that act as a scalar energy transference device to help restore ones energetic system. Why are they called “zero point energy” wands? The zero point energy is the original source state in your energetic systems. While the Iyashi Zero Point Energy Wands energy travels using scalar energy waves it restores your energetic systems to the original “zero point state” bringing that area of your energy system back into perfect alignment. Why is it in the shape or a pen? This shape helps target and direct the energy into almost a laser like point coming out of the tip of the wand. This laser like targeting is very effective for targeting specific energy blockages in your zero point field and restoring them to their natural state. Iyashi is a Japanese word which means to heal, to balance body mind and spirit. It is in the spirit of Iyashi that the Iyashi Wand was designed. What is the difference between an Iyashi full spectrum wand and other wands? The Iyashi Full Spectrum Wand has the largest range of vibrational frequencies which allows it to bring all of your body back into phase lock reconnecting it to source. Other wands infused with a smaller frequency range can work on some things but not others. Do zero-point energy wands protect me against EMFs? 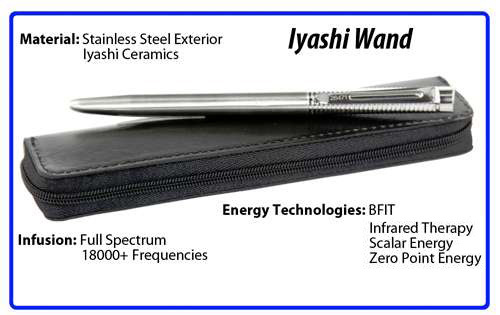 Iyashi Zero Point Energy Wands provide some moderate EMF protection which comes from the B.F.I.T. and strong negative ionic outputs. 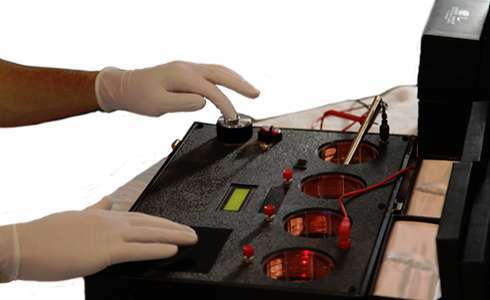 EMF protection is not a zero point energy wands first purpose and we suggest using them as a secondary protection method along with a product designed specifically for EMF protection such as Shieldite. How long will my Iyashi wand last? Your Iyashi wand should last a life time as long as you avoid damaging it. 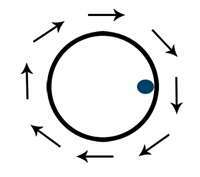 Can there be too much energy in a wand which could have a negative effect on my body's bio-field? No, your body's bio-field has a innate ability to use only the frequencies it needs and ignore the others. I bought a wand from another company and it doesn’t work. Can you help me? We have a trade in program which we can offer you $20-$100 store credit for other ineffective wands. How long will the Iyashi Wand take to work? Some people may notice results instantly some may take 30 minutes or even multiple wanding sessions before they notice the effects the wand is having on them. This is because everyone’s different and the Iyashi wand works on a person’s entire bio-field balancing it out which varies from person to person. If your energy is really blocked it may take a while to work and it is possible that you run out of patience before the wand is able to break up enough of the blockages for you to feel better. I can’t feel anything when I hold the wand. Is it faulty? No, the wand is not faulty. Every wand is tested and certified to work before it leaves our testing facility. A large portion of the population is not sensitive enough to feel subtle energy so may not be able to feel the energy coming from the Iyashi Wand. The wand will still work even if you don’t feel anything happening. The human energy system reacts to energy regardless. If your energy is really blocked it may take a while to work and it is possible that you run out of patience before the wand is able to break up enough of the blockages for you to feel better. Do I have to wand in clockwise circles or is there other ways I can use the wand effectively? We have designed a wanding booklet and some additional effective wanding techniques located on in Guides and Manauls section. Can I give my Iyashi Wand to anyone to use? We do not recommend that you loan your wand to anyone. The wand is a fine scientific zero point tool that will energetically ‘tune’ to its owner. Can I use my Iyashi Wand on others? If you are doing the wanding, then yes you can use it on others. The more you use your wand on yourself and others the stronger it can become as it energetically “tunes” with its owner.